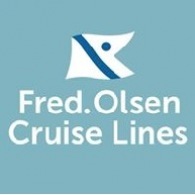 Average rating of 4.3 for all Fred Olsen Cruise Lines trips. Discover Silhouette Island, the third largest island in the beautiful Seychelles archipelago. Discover Amsterdam, beautiful sights and unique cultural delights. Visit Antwerp, it's home to plenty of other gems to discover and enjoy too. Visiting two of Germany’s most beautiful and historic cities, you’ll also enjoy Fred.’s maiden call into Heligoland.